Great tour for the price. Guide was very attentive. Locations well chosen though would have been nice to have spent a little longer at some overall very happy. 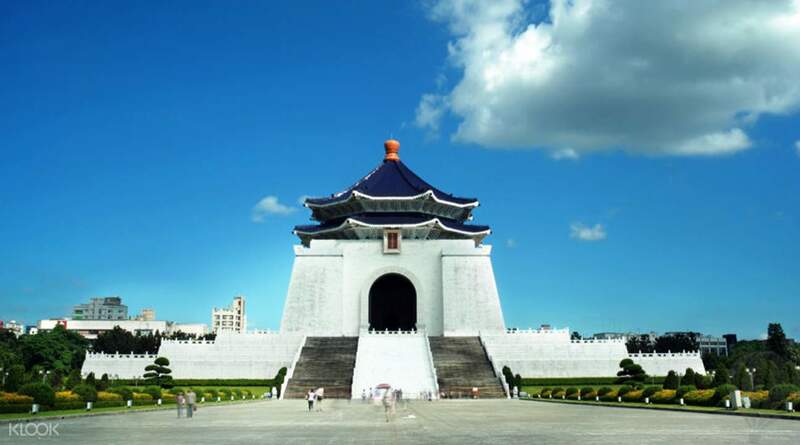 For the most comprehensive overview of Taiwan's capital, come along on this 3-hour city tour. 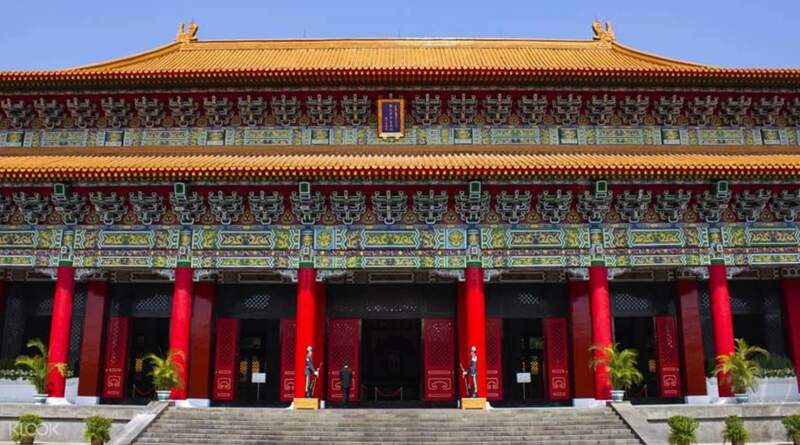 Gain a deeper insight into Taiwanese religion, history and culture with stops at five famous sightseeing spots. 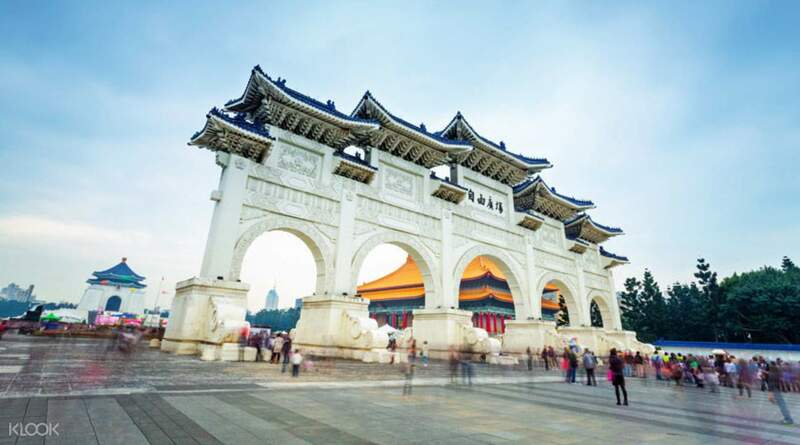 See the impressive Chiang Kai-Shek memorial hall, watch the hourly changing of the guard and discover more about the former leader of the Republic of China. 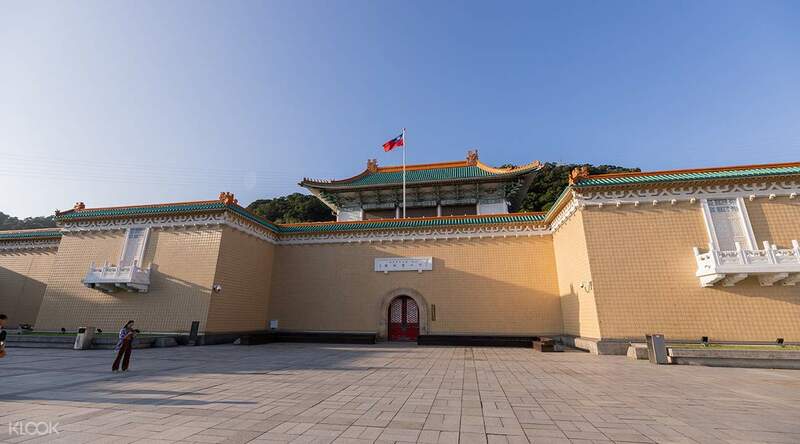 A visit to the world's largest and most impressive collection of over 650,000 Chinese art, artifacts and curios is on the cards at the National Palace Museum. 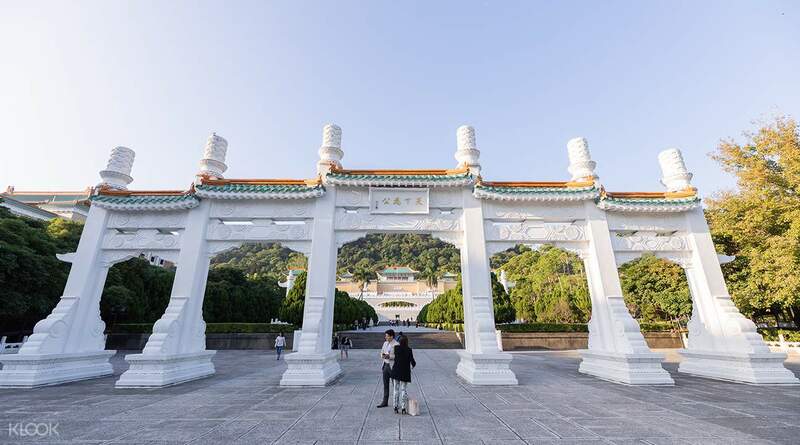 You'll swing by the Presidential Office Building, the highest seat of government then get an insight into traditional Taiwanese culture at the Martyrs' Shrine, a dedication to fallen war heroes and set in luscious countryside surrounds. A jam-packed itinerary, but the perfect way to dive into your visit. 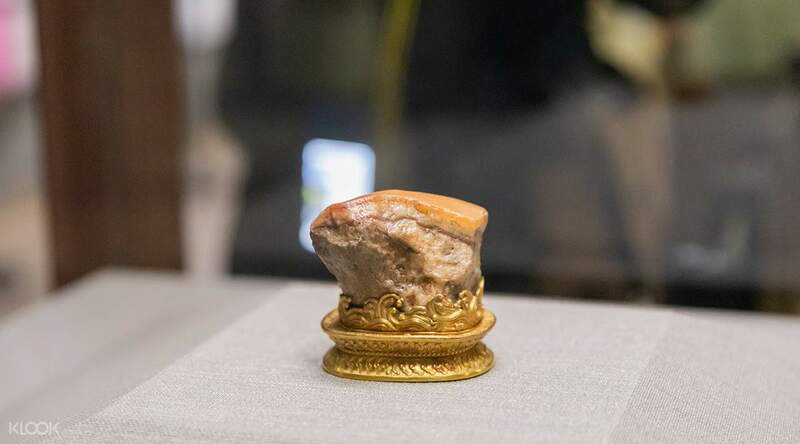 Don't let appearances fool you – get to see the Meat-shaped Stone, the most popular masterpiece in the museum! Even though it was a rainy day, we were able to still explore taipei city. Our tour guide was very nice and accomodating. Our second day at Taiwan was fruitful because of the city tour. we were able to get a glimpse of the rich culture and heritage of the city. Even though it was a rainy day, we were able to still explore taipei city. Our tour guide was very nice and accomodating. Our second day at Taiwan was fruitful because of the city tour. we were able to get a glimpse of the rich culture and heritage of the city. We enjoyed the tour. Good thing it wasn’t raining anymore. The tour guide was fun and accommodating. Although we were pressed for time, he gave in when we asked a couple of minutes to take a picture with the cherry blossoms around Chiang kai-shek memorial. We enjoyed the tour. Good thing it wasn’t raining anymore. The tour guide was fun and accommodating. Although we were pressed for time, he gave in when we asked a couple of minutes to take a picture with the cherry blossoms around Chiang kai-shek memorial. Really great tour! Our tour guide was very knowledgeable and friendly. We went on the Lunar New Year so the temple was bursting with people but everywhere else was not too full. I really enjoyed watching the changing of the guard at the Martyr’s Shrine. The precision of the officers was really lovely to watch. Would definitely recommend this tour! Really great tour! Our tour guide was very knowledgeable and friendly. We went on the Lunar New Year so the temple was bursting with people but everywhere else was not too full. I really enjoyed watching the changing of the guard at the Martyr’s Shrine. The precision of the officers was really lovely to watch. Would definitely recommend this tour! Splendid. Tour guide speaks english well and we were given enough time to enjoy the places we visited. Tour started and ended on time. I love the fact that the price already includes the entrance fee for the National Museum. Splendid. Tour guide speaks english well and we were given enough time to enjoy the places we visited. Tour started and ended on time. I love the fact that the price already includes the entrance fee for the National Museum. Pick up time was on time, the tour guide is excellent. Only a little bit hurry, we only spent 50 minutes in national Musium, actually need more time because there are alot of interesting things to see there. Pick up time was on time, the tour guide is excellent. Only a little bit hurry, we only spent 50 minutes in national Musium, actually need more time because there are alot of interesting things to see there. Sir Thomas was our tour guide in this trip and i will definitely recommend him because he is good in giving us important info regarding Taiwan history and the popular places that we visit. And a plus that he is a good photographer also. Overall we definitely enjoy our day tour in Taipei and klook is very convenient and hassle free to book. Highly recommended! Sir Thomas was our tour guide in this trip and i will definitely recommend him because he is good in giving us important info regarding Taiwan history and the popular places that we visit. And a plus that he is a good photographer also. Overall we definitely enjoy our day tour in Taipei and klook is very convenient and hassle free to book. Highly recommended! 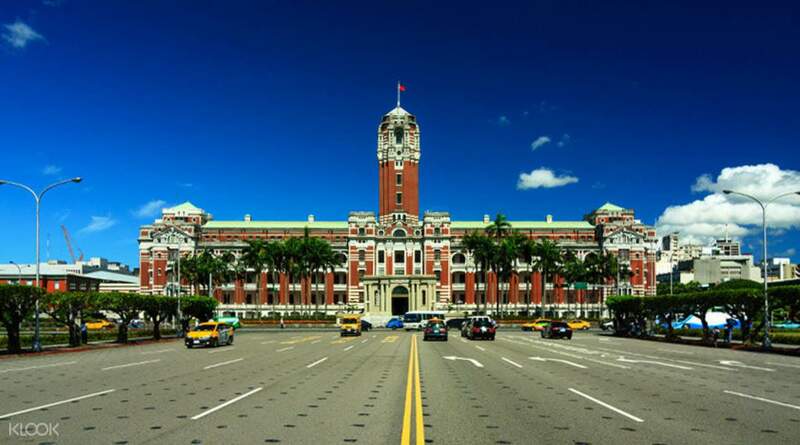 I was able to know the beautiful tourist spots in Taipei City. The history and its rich culture. The tour guide is very accommodating, jolly and cheerful. Thanks to our tour provider. I was able to know the beautiful tourist spots in Taipei City. The history and its rich culture. The tour guide is very accommodating, jolly and cheerful. Thanks to our tour provider.